If you really want to advance your career, you need to stay in the know with current events. Make sure you are listening to or reading sources that are reputable. When you know what is actually happening in the world, you know what opportunities exist. When you stay up to date and engaged with the news, you also have the opportunity to form new connections. Maybe other people comment on the same articles you do, or maybe you reach out to the author and receive a reply. The closer you are with the community of industry news, the closer you will be to the latest trends and breakthroughs. The way you choose to fuel your body throughout the day has a direct impact on your productivity. If you want to feel good, you need to make a concerted effort to eat healthily and exercise regularly. One of the best ways to do this is by packing a lunch each day instead of eating out. Not only will this encourage healthier eating, but it will also save you money! The better you eat, the better you will feel throughout the day. It is not only important to take care of yourself, but also those around you. A 2012 study by Wall Street Journal in Europe and iOpener Institute for People and Performance revealed that happier workers help their colleagues 33 percent more than their least happy colleagues. What can you do for someone in the office? Something as simple as leaving a positive sticky note on their computer or bringing in an extra coffee for someone can go a long way. While our professional lives and our personal lives are meant to be separated, in reality, they both affect the other. 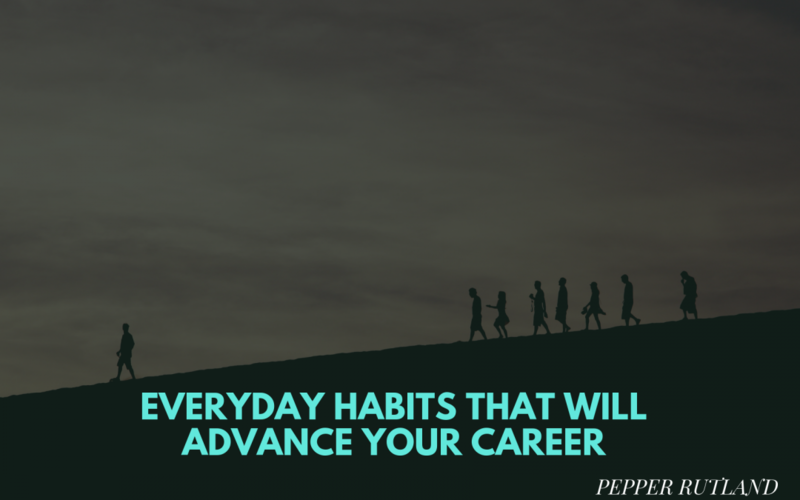 The habits you create in your everyday life can lead to advancement in your career. Three of the easiest and most helpful habits are staying up to date with the news, eating healthy and exercising, and doing a good deed for someone else.